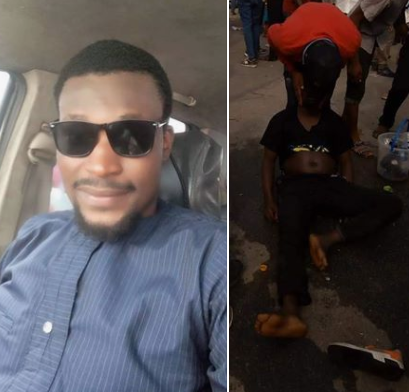 A Nigerian man counted as one of the dead persons in the stampede that occured at the APC presidential rally in Rivers state, has regained conciousness. Recall that on Tuesday February 12th, over 7 persons were declared dead in the stampede that happened during the APC Presidential rally which held at the Adokiye Amasiamaka Stadium Portharcourt. Lord I have come to give you praise and honor again.. Indeed there will be no more loss..
Its not up to two weeks we are still grieving and morning the killing of Efcc Chiko little did I know my brother and friend Engr. Engr Precious Jeffry was caught up in the stampede ordeal two days ago. Until he gained his strength and breath. I have come to worship you this morning thou Greatest of All, Merciful King, Glorious God..
For testimonies, man can not take.. For deeds you have done that man cannot comprehend. THE MAN YOU SAVED AS COME TO WORSHIP YOU. PLEASE BLESS THE SOULS OF THE ONES WHO DIED.